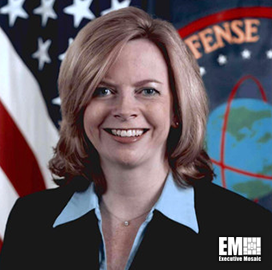 Suzanne White, chief of staff at the Defense Intelligence Agency, has been appointed as the agency's deputy director, effective Oct. 15. In her new role, she will serve as the DIA's second-highest official, succeeding Melissa Drisko, who is retiring from the agency after 37 years of service with the federal government, the DIA said Wednesday. White held various intelligence community roles throughout her tenure with the federal government. At the DIA, she helped the agency develop plans and strategies to address requirements as chief of staff, and previously oversaw the agency's budget during her time as chief financial officer. White also managed funding programs for the Defense Department, the CIA and other services throughout her tenure with the Office of Management and Budget. In the private sector, she worked as manager of strategic planning for General Dynamics. Johnny Sawyer, deputy director for analysis at the DIA, will succeed White as chief of staff.